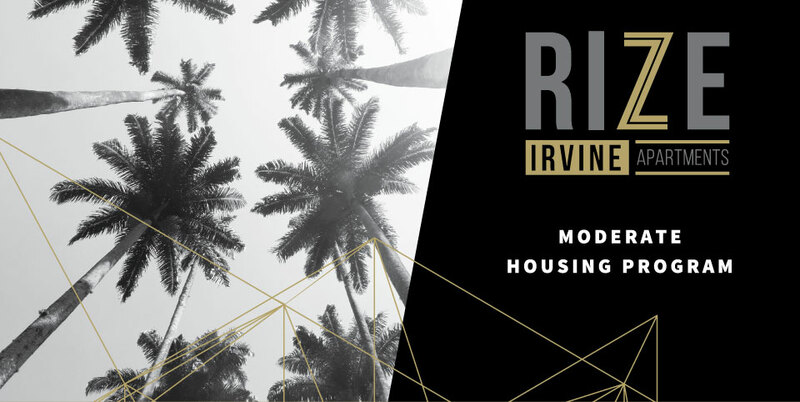 RIZE IRVINE is pleased to offer moderate income living options, however income restrictions do apply. Below market rate Moderate Housing units will be available to qualifying moderate income individuals and families. Moderate Housing rents are based on the Area Median Income for Orange County and are adjusted for household size and income. To be income eligible, your gross annual household income cannot exceed the set income limit for your household size. The number of persons permitted to occupy each Moderate Housing unit shall not exceed the occupancy permitted pursuant to the requirements of the United States Department of Housing and Urban Development which, as of the effective date, is two persons per bedroom, plus one person (e.g., for a two-bedroom unit the maximum number of persons residing in the unit can be five persons. NEED TO CONTACT US? Please contact the leasing office for more information and to find out if you are eligible for the Moderate Housing Program. We encourage you to bring your six most recent pay stubs and a current bank statement with you as this will greatly assist in determining your eligibility. We look forward to hearing from you.